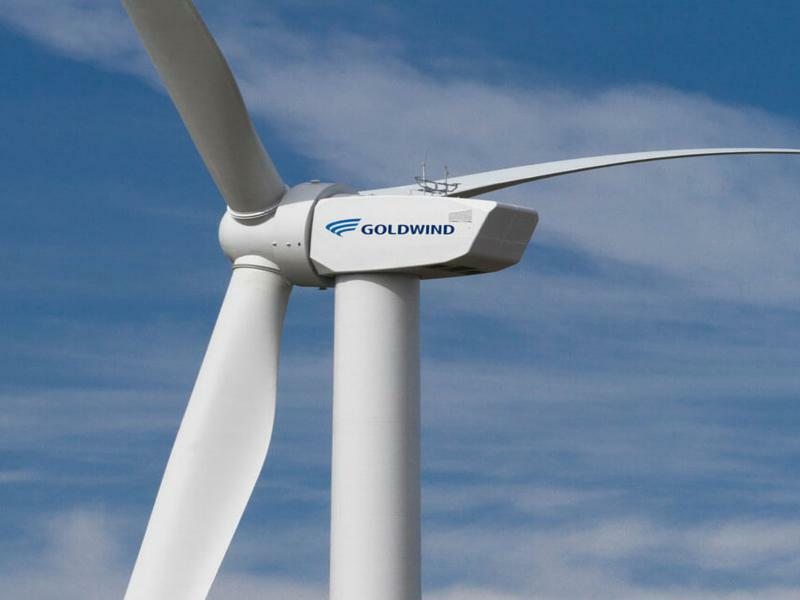 Established in China in 1998, Goldwind is an international enterprise specializing in wind turbine generators, R&D and manufacturing of its innovative leading edge wind turbine technology; it has consistently been ranked among the leading wind turbine manufacturers in the world. As of 2018, it is ranked as the 3rd largest wind company internationally. Since its inception it now has a portfolio of more than 24,000 wind turbines installed totaling to 40GW of wind turbine generation capacity globally. Goldwind ventured into the African wind energy market in 2011 with the establishment of Goldwind Africa (pty) Ltd, which tenders for renewable energy projects in Africa. The company’s first wind project in Africa was the 51-MW Adama wind farm in central Ethiopia. It has 2 wind projects totaling to 152MW in South Africa under construction. They include; the 120MW Golden-Valley Wind Park and 32MW Excelsior wind park both in South Africa. According to Mason Qin, Head of Sales at Goldwind Africa (pty) Ltd, customers should most importantly consider IRR when purchasing turbines which means the Wind Turbine Generator should be cheaper in Capex and Opex whereas high in yield. Acciona is one of Spain’s leading corporations, active in the renewable energy. It is a major wind farm developer as well as manufacturing turbines, with production plants in the US and Spain. Since its inception it now has a portfolio of more than 6,169 wind turbines installed in 222 wind farms totaling to over 16000MW of wind turbine generation capacity of wind power installed or under construction globally. Acciona ventured into the African wind energy market when they put the 138-MW Gouda wind farm located in South Africa into service in 2015. It has 46 AW3000 turbines (3 MW each) of ACCIONA Windpower technology mounted on 100-meter-high concrete towers. Acciona wind turbine models include the AW-3000 with a rated capacity of 3MW, and the 1.5MW AW-1500. Eveready’s subsidiary trading as Kestrel Wind Turbines is proudly a South African a manufacturer of small wind turbine and has developed a reputation across the globe for providing leading edge renewable energy solutions. Eveready Kestrel provides small wind turbine solutions rated at 600W, 800W, and 1KW and 3.5KW range. Its robust construction and unique engineering makes it the product of choice for telecommunications, off grid, grid connect and water pumping solutions. Additionally Kestrel e300i is the next generation of small wind turbine. It is a low starting machine allowing it to generate electricity at relatively low wind speeds. The high performance three blade rotor with pitch control powers a twin axial flux permanent magnet brush less alternator, with good heat management. The e300i maintains its rated output in excess wind speeds, optimizing the potential power output and energy yield. More usable power generated, stored and used. The e300i powers telecoms sites around the world. The Danish wind turbine manufacturer Vestas is currently the world’s largest wind turbine maker, representing over 16% of the world wind turbine market. As of 2018, it is ranked as the 3rd largest wind company internationally. So far, Vestas has installed over 60,000 turbines, which has a total joint capacity of 82GW, across 76 countries. Vestas has been active in Africa’s wind energy sector for ten years. As of 2018 the company has installed over 1GW energy capacity in Africa. Vestas recently supplied 365 sets of Vestas VS2 wind turbines for the Lake Turkana Wind Power project in Kenya, which is the largest wind farm in Africa. 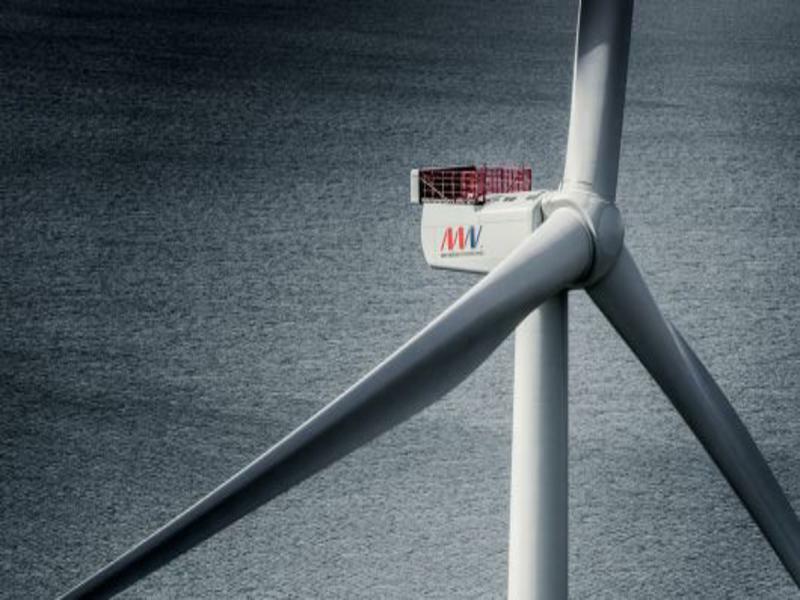 Vestas wind turbine models include the 3MW V126, designed for low wind conditions, and the widely-used V90, available in 1.8MW and 2MW versions for onshore use, and a 3MW offshore version. Sinovel Wind Group Company is a Chinese wind turbine manufacturer headquartered in Beijing. It is the largest wind turbine manufacturer in China. So far, Sinovel had installed wind turbines with a total joint capacity of over 45GW worldwide. Sinovel ventured into the African wind energy market with the establishment of Dassiesklip in South Africa. 9 sets of Sinovel SL 3000/90 (power 3 000 kW, diameter 90 m) wind turbines were installed in this project. Sinovel wind turbine model with the highest rated power is the Sinovel SL6000/128 with 6.0MW. The lowest rated power is provided by the Sinovel SL1500/70 with 1.50 MW. With 18.617m² the Sinovel SL5000/155 has the largest rotor area. With 3.879m², the Sinovel SL1500/70 has the smallest rotor area with the lowest rated power. 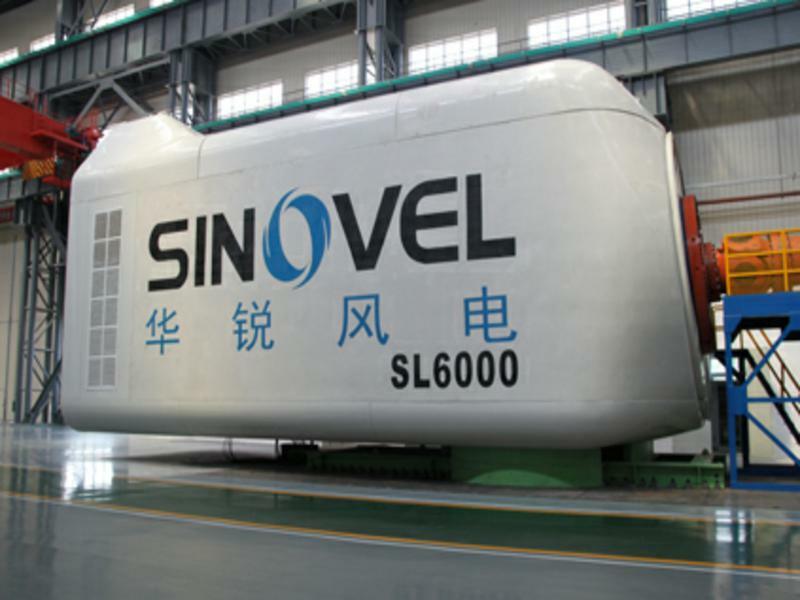 Meanwhile Sinovel’s largest model is the 6MW SL6000 series currently undergoing testing in China. 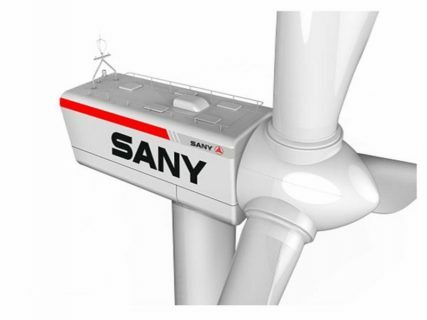 SANY is a global manufacturer of industry-leading renewable wind-energy systems. Sany Global ventured into the African wind energy market in 2015 with the establishment of 153MW AdamaⅡWind Farm in Ethiopia. 102 sets of Sany SE7715 wind turbines were installed in this project. Moreover, installation, equipment commissioning and power grid connection were all provided by Sany Heavy Machinery, whose excellent performance brought Sany much praise in Africa. SANY offers you the optimal solution for wind farms with their SANY high speed doubly-fed WTG wind turbines. Longer blade, self-adaptive power curves, airfoil optimization, low cut-in and high cut-out guarantees high productivity. Intelligent diagnosis system can automatically collect and analyze operation data and prevent the fault before it occurs. Vergnet is a global manufacturer of wind turbines and a leader in medium power wind energy solutions. Since its establishment in 1989, Vergnet has executed successful projects covering the installation of over 900 wind turbines across over forty countries and six (6) Continents. VERGNET is today the oldest and most experienced French Wind Turbine Manufacturer. Vergnet has been working on the African continent since its inception. 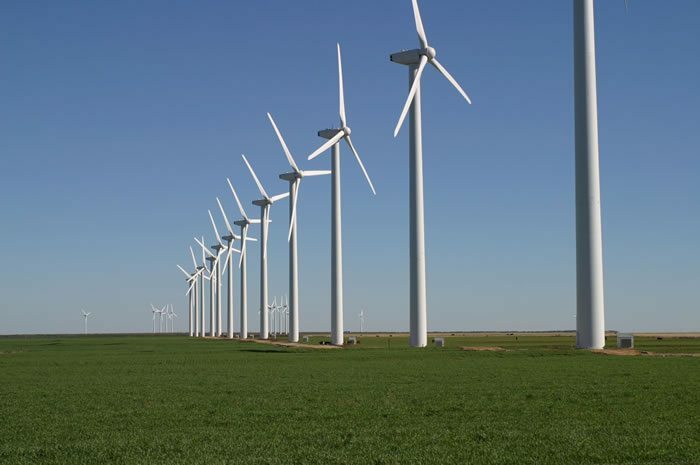 VERGNET is popularly known for the turn key implementation of the 120MW ASHEGODA Wind Farm in Ethiopia, in which 30 units of Vergnet GEV HP 1MW turbines were installed for the project. Vergnet was chosen as the wind energy provider for the project, due to the adaptability of its technology, its experience in Africa, and its long-term operations and maintenance (O&M) support. Additionally, Vergnet’s turbines have been selected for medium and large scale turn key projects, in several African countries including, Nigeria, Chad, Mauritania, Eritrea, and Kenya. According to information from the Company, VERGNET is able to handle complete deployment of renewable energy projects World Wide. From site feasibility and project development, engineering, procurement, construction, Operations and Maintenance, Vergnet ensures clients get the most from their wind energy investments in the long term. Vergnet’s wind turbine models are available from 200 to 275kW with the product names GEV MP C and MP R. These turbines are among the very best performing in the medium power category, with strong production yields hence delivering strong returns on investment. Their wind turbines are easily installed, transported and maintained. The turbines are also anti-cyclonic and can withstand high wind speeds and adverse climatic conditions. Vergnet handles procurement and purchase requests from clients across the World from the Group Headquarters located in France or via its subsidiaries located across six (6) continents. Since its inception in 2001, Genesis Eco-Energy is one of South Africa’s pioneering renewable energy companies providing project development, management and operations services across a range of renewable energy technologies. According to the Director, Davin Chown, through their learning from the work done in South Africa they now look to expand to other countries. Genesis has currently 4 wind energy projects in South Africa totaling to 500MW. 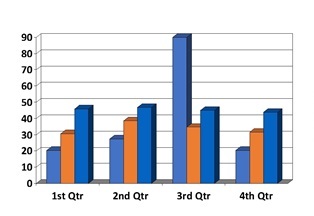 In addition, two large wind projects are under development in Sub-Saharan Africa. The Jeffrey’s Bay project was Genesis’ first foray into wind energy. The 138MW wind farm, is one of the first large scale commercial wind energy power stations in the country. In 2013 Genesis and its partners secured three more wind farms namely the Loeriesfontein and Khobab wind farms, and the Noupoort wind farm. Mr. Chown further emphasizes that Genesis’ unique blend of technical skills, stakeholder relationships and development approach allows them to work in new ways with their partners in order to ensure projects are de-risked. Globeleq is a leading investor, developer, owner and operator of power projects in Africa. Since its inception in 2002, Globeleq has implemented a diverse range of wind power projects in numerous developing markets across Africa, South America and South East Asia. Globeleq has nearly 1,300 MW of power generation in operation in Africa with 8 plants and 5 countries and has a further 2,000 MW of projects in development. Specifically with wind they are involved in the 138 MW Jeffrey’s Bay Wind Farm, one of the first wind farms to be commissioned in South Africa. According to the CEO, Paul Hanrahan, Globeleq’s strength is the ability to develop, build and operate power generation in a variety of markets in Africa, selecting technology appropriate for long term sustainability. It also invests capital to enhance the performance of its existing plants, develop projects and successfully construct and operate those projects. Additionally, the company has a highly qualified team of power developers, engineers, legal, financial and administrative professionals located on the continent with skills ranging from inception, development acquisition, financing, and construction to operation and management of power projects/plants. This combined with their world class operational excellence, and a flexible approach to tailor energy projects, makes Globeleq competitive in an increasingly competitive space, especially in the renewable sector. 3Energy Services (Pty) Ltd is the South African branch of 3Energy GmbH, a German facility management company with a track record of more than 15 years in the operation and management of wind and solar photovoltaic (PV) assets in Europe and Africa. According to the Managing Director at 3Energy(SA), Mr. Florian Kroeber, the company is providing Asset Management and Operations & Maintenance services to wind energy projects in Africa with current operations in South Africa and Uganda. It currently has a portfolio of over 400MW under operations in Africa. 3Energy involvement in the full life cycle of renewable energy projects provides a balanced view on the efficient operations and hence longevity of a power plant. Founded in 1996, Obelisk is a leading provider of high quality services to the renewable energy sector, supporting more than 200 renewable development sites and 20+ wind farms in South Africa since 2010. With office locations in Dublin, Cavan, Liverpool, Manchester and Cape Town. Obelisk specializes in wind measurement services, the provision of HS&E services, statutory inspections, operation maintenance services and blade and tower services. Michael De Waal, Head of Operations at Obelisk SA, affirms that quality is a big component of their works and that they have many service line awarding a broad spectrum of support for clients in the renewable energy.